Deploying a Performance management solution to monitor your network and IT resources, and the services they underpin can help you detect and avoid performance degradation before they seriously impact your business. Performance Management Applications proactively monitor and report on service-quality. 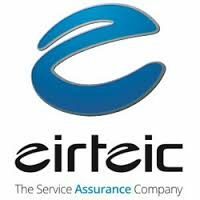 Eirteic deploy solutions that provide end to end views in real time as well as storing collected data, to allow IT and network owners to analyse and deliver reports which drive valuable business decisions. An effective Performance Management solution should also support the Infrastructure Readiness and Capacity Management functions. Tight integration with a Fault Management solution allows for the unification of resource faults with threshold and abnormal behaviour warnings to possible fault states, through a single user interface. Eirteic holds a number of key partnerships with the leaders in the Performance Management space, Monolith Software and their AssureNow offering, IBM and their Cloud and Smarter Infrastructure solution sets.